On 13th May 2017 we held our share offer launch event in Muswell Hill with speakers Catherine West MP and Baroness Lynne Featherstone. 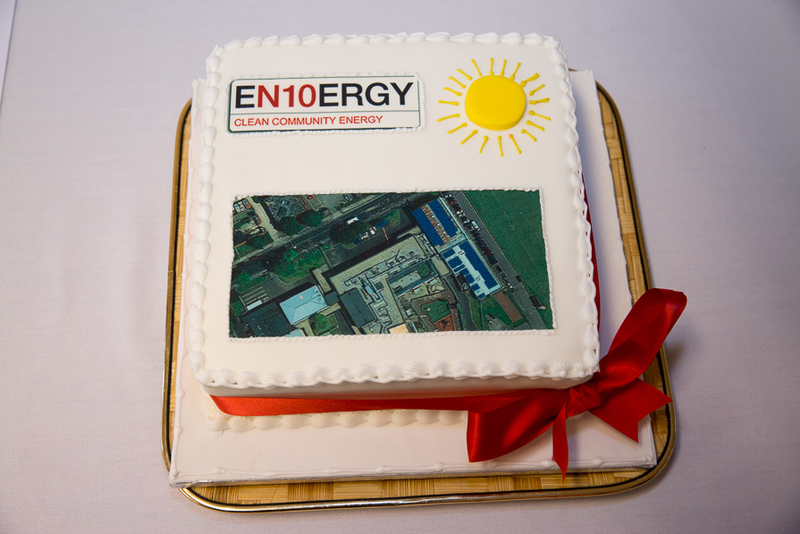 En10ergy Limited was set up by Muswell Hill Sustainability seven years ago. En10ergy installed solar pv panels on the roof of Marks and Spencers on Muswell Hill Broadway in July 2010 and on the roof of the Muswell Hill Methodist Church on Colney Hatch Lane in April 2011. Our new share offer is for the install of solar photovoltaic arrays on roofs at Woodside High School, on the borders between Wood Green and Tottenham. We have chosen our solar installer, and expect to be able to offer investors a return of 4% with capital invested for 12 years. You can find out more about the scheme here. The share offer is expected to remain open until June 28th 2017. Installation of the panels will take place during the school summer holidays 2017. If you think you may be interested in investing in this scheme (no commitment at this stage) let us know now by emailing us at info@mhsgroup.org.